Wisdom of Life. 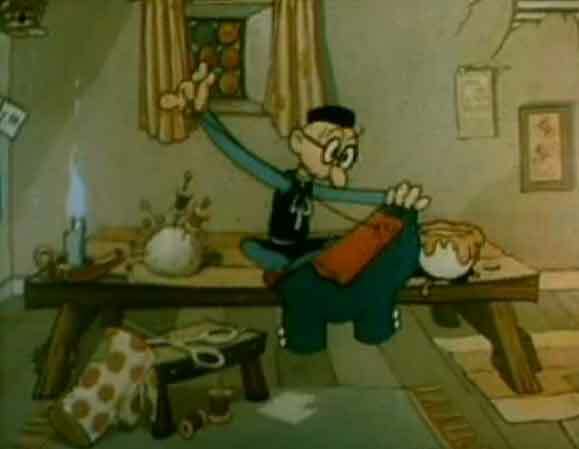 : The Tailor and His Scissors. The tailor's son who was watching it asked him: "Father, the scissors are costly and look so beautiful. But you throw them down at your feet. This needle is worth almost nothing; you can get a dozen for an Anna. Yet, you place it carefully on your head itself. Is there any reason for this illogical behaviour?" The former are generally the rich people, powerful politicians and kings; the latter are Generally the poor devotees of God, the penniless wandering monks, and mendicants. The Lord makes use of both to carry on his function of providing the field for the evolution of individual souls. He throws down on the dust the mighty kings and millionaires who create wars and disharmony; and He keeps the poor, pious devotee over His own head. In His eyes the scale of values is entirely different.